Top film is specially developed for total protection of your pallet loads. Cyklop top film sheet also protects your load against rain and dust. This means your loads are kept free from harm and the likelihood of damage is reduced. Manual wrapping film is used primarily for wrapping boxes or products on pallets or bundling loose products. But wrapping film also protects your products against damage, moisture and dust. Because there is less film on the roll it is lighter and better suited to manual wrapping. 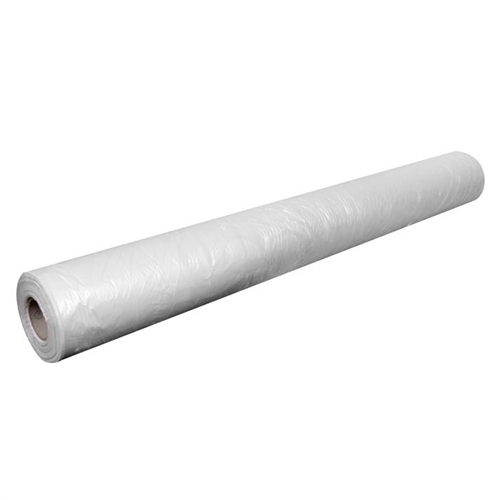 This wrapping film can be used by hand or with a purposely-designed dispenser. Pre-stretched film is pre-stretched by machine and then wound tightly on the core. This means the film does not have to be pulled tight. The film automatically shrinks around the load. The big advantage is that the wrapping procedure is made easier and less film is used around the pallet. Manual wrapping film is used primarily for wrapping boxes or products on pallets or bundling loose products. But wrapping film also protects your products against damage, moisture and dust. Because there is less film on the roll it is lighter and better suited to manual wrapping. This wrapping film can be used by hand or with a purposely-designed dispenser. However, wrapping remains laborious work and for more than 10 pallets per day it is advisable to install a pallet wrapper. Manual wrapping film is used primarily for wrapping boxes or products on pallets or bundling loose products. But wrapping film also protects your products against damage, moisture and dust. Because there is less film on the roll it is lighter and better suited to manual wrapping. 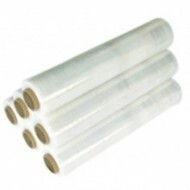 This wrapping film can be used by hand or with a purpose-designed dispenser. However, wrapping remains laborious work and for more than 10 pallets per day it is advisable to install a pallet wrapper. Bundle film is mini stretch film that is packed in small rolls. The mini stretch film can be applied for manual bundling or wrapping of different product types. Cyklop machine film is a high-quality wrapping film that is ideal for a wide range of pallet wrappers. This stretched film ensures proper security and protection for your load.